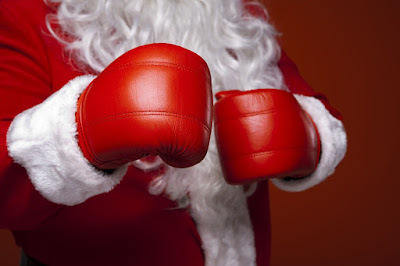 Home / $AUD / $CAD / $EUR / $JPY / $TLT / $USD / What Happened on Boxing Day? What Happened on Boxing Day? There were several developments on the day after Christmas, while many markets remained closed and investors sidelined. One of the most important developments was the euro's complete recovery from the flash crash of nearly three percent on Christmas day in the North American time zone. Recall that the euro finished last week near $1.1860, having recovered from a dip a little through $1.1820 on news that parties in Catalonia that favor independence secured a majority of seats in the regional parliament. Bloomberg records a low before 8 am ET just below $1.1560. However, dealers marked the euro higher, and today, the single currency has been in a narrow range, mostly between $1.1850 and $1.1875. The dollar was confined to an even tighter range against the yen. The JPY113.20 to JPY113.35 bracketed the greenback. Japan continues to report favorable economic data. Japan reported an unexpected dip in the unemployment rate to 2.7% from 2.8%. Japan's labor market is firm, but what has been missing is the knock-on lift to consumption. More important than the confirmation of the strength of the labor market, Japan reported that overall household spending jumped 1.7% in November from a year ago, which is more than three-times better than the Bloomberg consensus forecast. It is the strongest rise since June, which itself was the best since August 2015. In addition to robust exports, which is supporting industrial production and business investment, household consumption is helping lift the economy and prices. Japan reported that headline CPI rose to 0.6% in November over the past year from a 0.2% rate in October. The core rate, which excludes fresh food prices, rose 0.9% from a year ago. Although measured quite a bit differently, Japan's core inflation rate and the ECB's are advancing at the same pace. Minutes from the recent BOJ meeting will be released this week. Although it is not clear if Kuroda will be given a second term (a two-term governor has not been seen in 50 years in Japan), the BOJ is seen a lagging behind other central banks and the economic data to maximize the opportunity to break the back of deflation. A pipeline explosion that feed Libya's Es Sider, the largest export terminal lifted oil prices. Brent for February delivery rose 2.5%, extending its rally for a sixth consecutive session. Today's best level near $67 is a new two-year high. WTI rose in sympathy, and amid news from the end of last week that no new oil rigs were employed in the US for the second week running. Today's gains extend the rally for a fifth session and to levels not seen since mid-2015. Commodity prices rose more broadly. The CRB Index rose 1.3%, to extend its advancing streak to an eighth session. The gap higher opening points to a run at last month's high in the 192.50-193.00 area, but last year's high near 196.40 is the upper end of nearly two-year consolidation. Rising commodity prices complement a shift in rate expectations and have helped lift the Australian and Canadian dollars. Speculation that the Bank of Canada could hike rates as early as next month has helped Canadian dollar recover from a five-month low on December 19 to now on the strong-side its recent range. The OIS is consistent with a 43.5% chance of a hike in January and a nearly 50% chance in March. We do not see the sense of urgency that many appear to have about the next Bank of Canada rate hike. The monthly GDP reports warn that the economy has stagnated in from July through August. New momentum in the US economy is helpful, but the risk of a NAFTA shock cannot be dismissed. The Bank of Canada is indicated that it expects to remove additional accommodation, but we think it is a late Q2 event rather than Q1. Over the past month, the yield on Australia's two-year bond has risen nearly 23 bp to almost 2.0%. It has now re-established a foothold above the US two-year yield. The Australian dollar has recovered from the five-month low it recorded near $0.7500 earlier this month. It broke above resistance near $0.7700 last week, and by posting small gains today, its advancing streak has been extended to a fifth session and 10 of the past 12. It is approaching $0.7740, which corresponds with the 38.2% retracement of the sell-off since the early September high near $0.8125.